Eddie Donlon has been head grounds keeper with the Grove since 2004. Eddie manages the summer maintenance programme of feeding, moss and weed killing and dealing with intermittent problems such as red thread. He also arranges any special winter work such as tining, sanding and rolling. 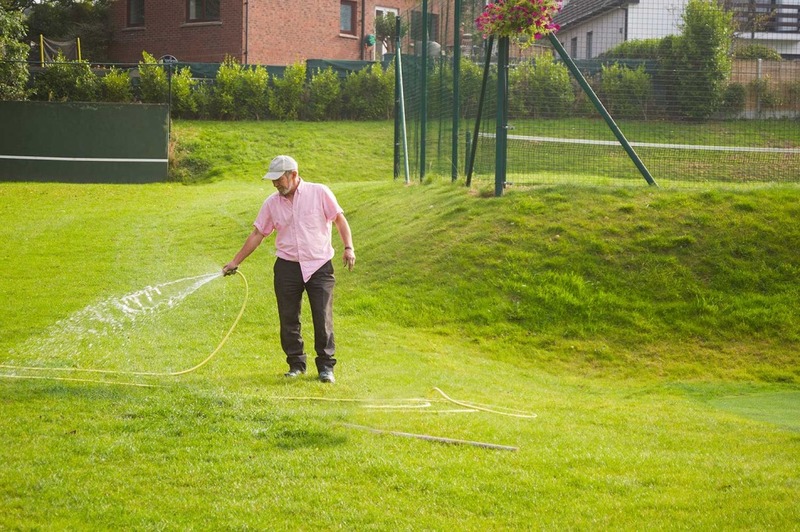 The grass tennis courts are cut twice a week in the summer and every 1-2 weeks in winter. In 2007 we received a grant from Fingal County Council and the Department of Arts, Sports & Tourism (lottery funds) for the levelling of courts 1 and 2 which had a slope of over four feet from top to bottom. Eddie advised us on the levelling of the tennis courts and on the placing of drainage under the courts.